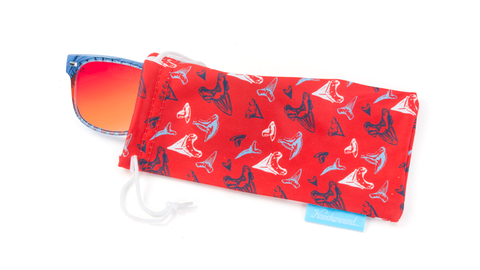 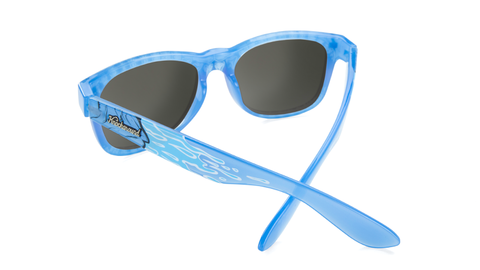 Shark Week shades are becoming a Knockaround tradition. 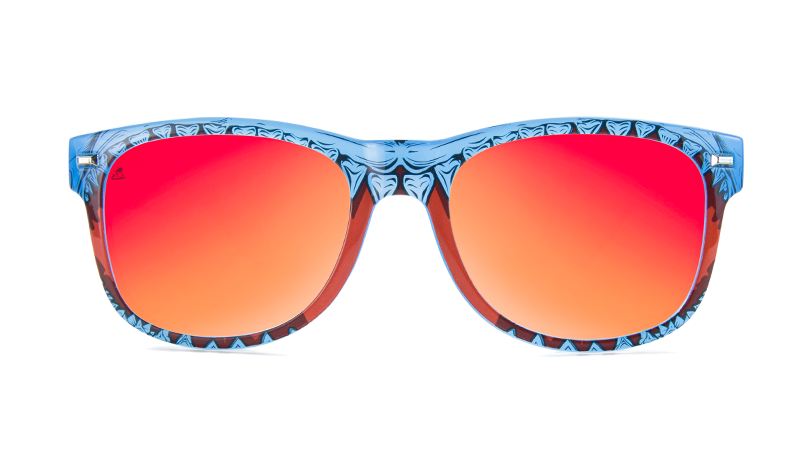 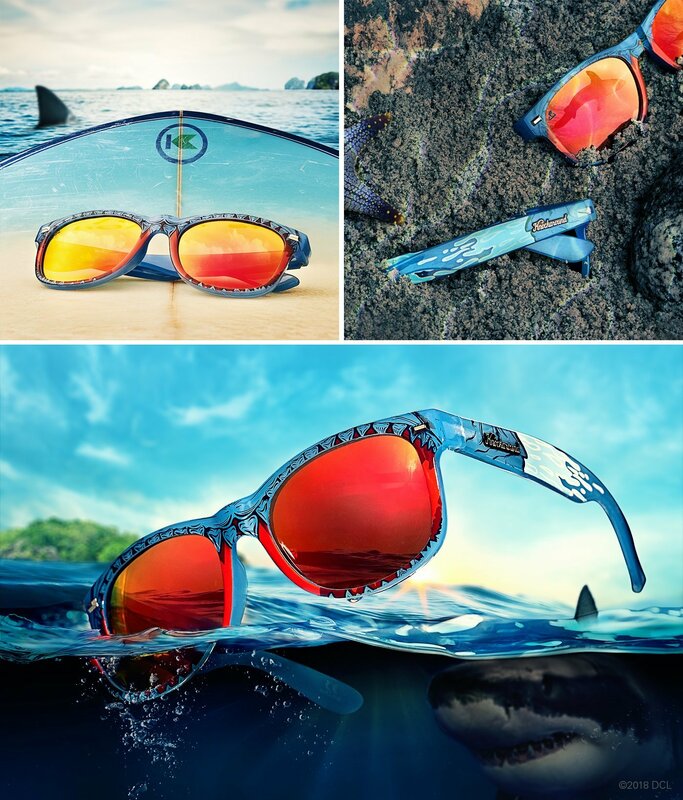 We're excited to release our fourth annual pair of shark-inspired sunglasses with Discovery. 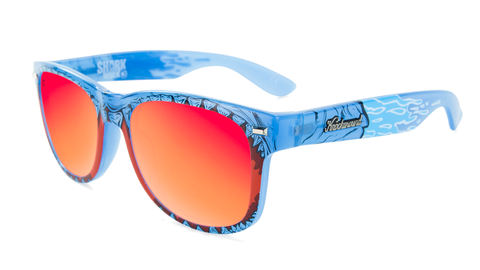 This year marks Shark Week's 30th anniversary, so you know we had to work up something extra special: we have an all-new Shark Week design, and for the first time ever, on our Fort Knocks frame. 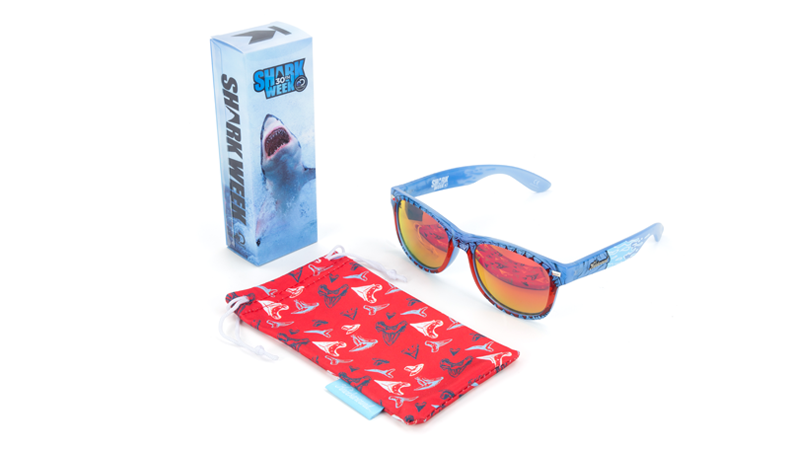 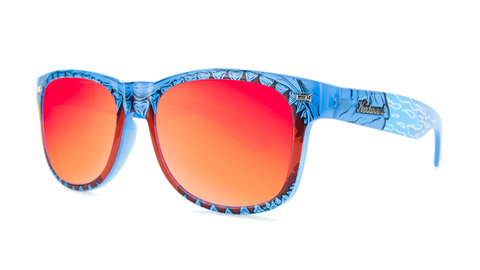 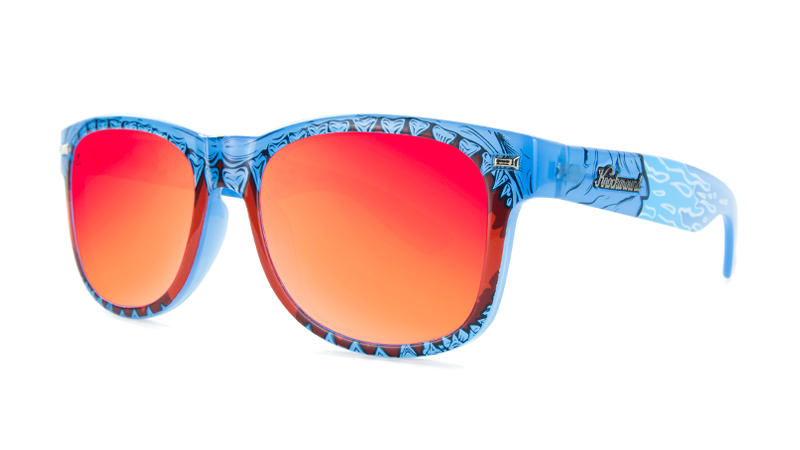 The Shark Week Fort Knocks feature a translucent breakwater blue frame with Great White jaw graphics on the front that bleed around on to the arms, silver hardware, and polarized predator red lenses with a Shark Week fin lens etch. 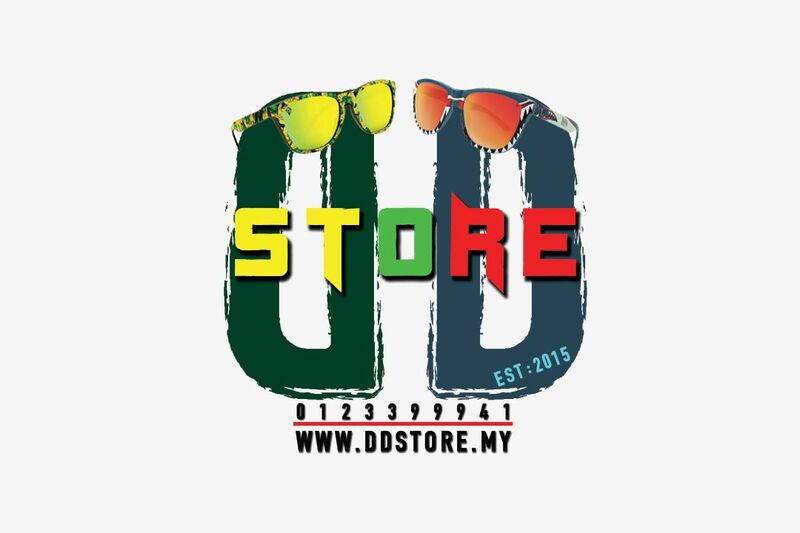 Designed on our durable and high-quality frame, these sunglasses have a slightly wider fit than our other frame styles and provide full UV400 sun protection.